As my regular readers know, my SciFi short story “Joey” is included in the Zombie Pirate Publishing anthology World War Four which also features an exclusive short story by best-selling science fiction author Neal Asher. 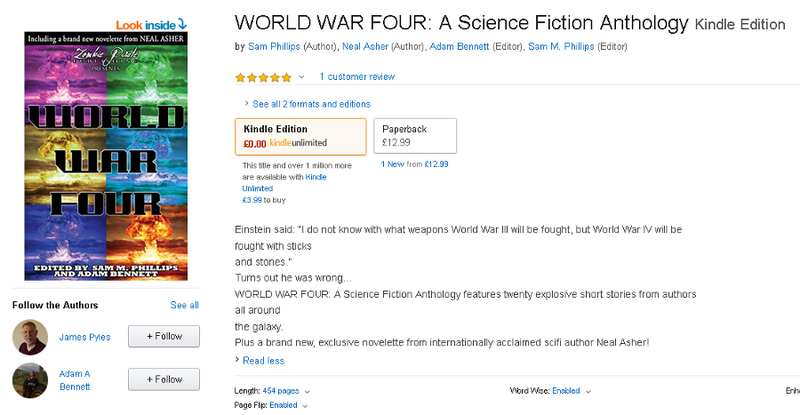 I just found out that WW4 received its first five-star Amazon review at their Amazon UK site. Five stars. Terrific news. Okay folks in the U.S. and other nations, time to weigh in. Looking forward to hearing what you think.